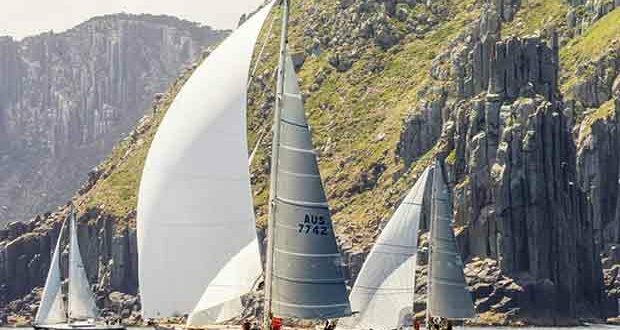 The Cruising Yacht Club of Australia’s (CYCA) is pleased to announce 92 yachts have entered the Rolex Sydney Hobart Yacht Race, one of the nation’s greatest sporting events – and when the start cannon fires on Boxing Day, 26 December at 1pm local time, on show will be one of the most competitive fleets from around the globe. “We expect five super maxis – but it’s when you look at the full list of entries that there is a real feeling of depth and quality. A number of yachts new to the race will make appearances. Among them, I’m keen to see how Sean Langman goes with the RP65 ‘Naval Group’ he is skippering in collaboration with the French-owned Defence business, Naval Group. Joining them is Christian Beck’s InfoTrack, (broke the race record as Anthony Bell’s Perpetual LOYAL in 2016) alongside Peter Harburg’s Black Jack (Qld – as Alfa Romeo in 2009, when owned by Neville Crichton, it took line honours) and Seng Huang Lee’s Scallywag (HKG). All will be aiming at Comanche’s record of 1 day 9 hours 15 minutes 24 seconds. Other rivals will be anything from Phillip Turner’s RP66, Alive and the Tasmanian’s near sistership, Wild Oats X, to an unusually strong field of other 60-70ft yachts this year. Sean Langman, Hugh Ellis (Qld) and the Shelter Island Transatlantic Partners (USA) are each bringing something new to the table.